The four-day long event kicked off on Thursday, August 9th to beautiful, warm weather and crystal blue skies. Unlike the previous year, rain boots weren’t needed for this year’s Boots and Hearts—just the dancing variety. 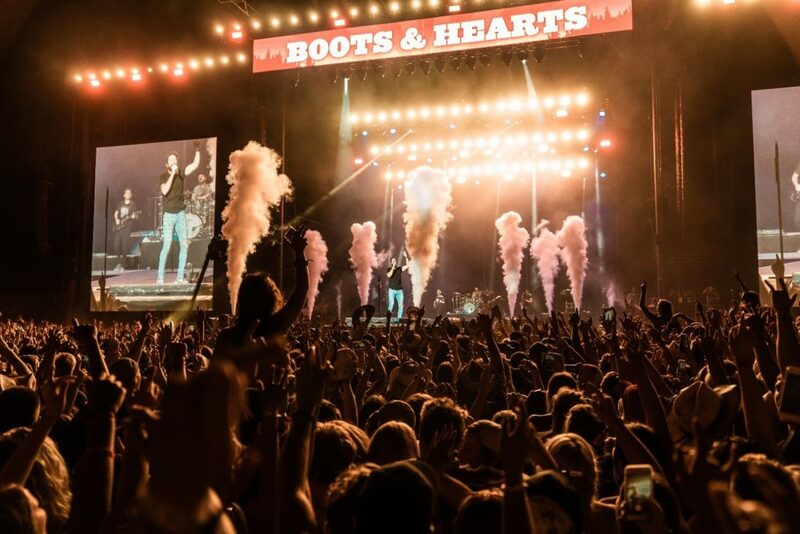 Boots and Hearts has become a must-attend festival since it kicked off in 2012. This festival is Canada’s largest camping and country music festival of its kind. It is a four-day celebration of country music from over 40 artists featuring 60 hours of live entertainment. Part of what gives Boots and Hearts its truly unique vibe and on-site experiences is its location. 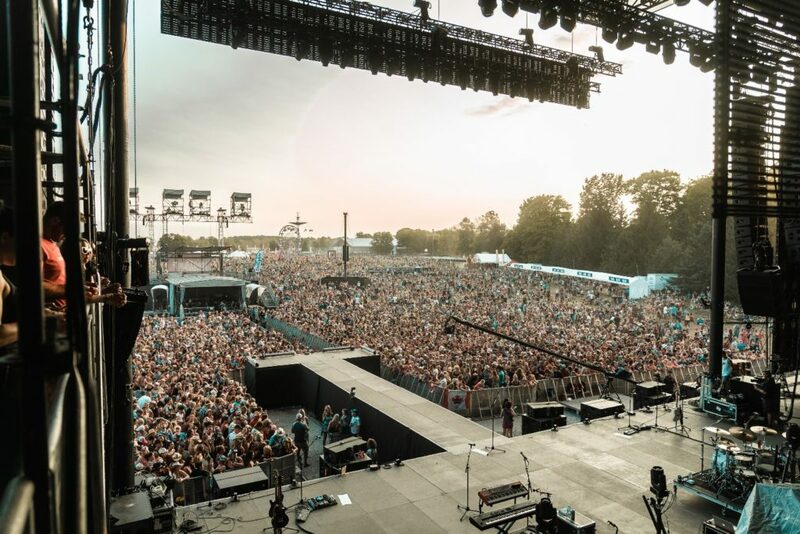 Burl’s Creek Event Grounds in Oro-Medonte, Ontario is a custom-designed festival grounds that provides a true one-of-a-kind camping experience for all of country music’s biggest fans. Boots and Hearts is produced by Republic Live Inc and Plan V Productions. The festival and campgrounds are owned by Stan and Eva Dunford. It is considered the second-largest largest music festival in North America—second only to the CMA Music Festival which you can read our recap on here. 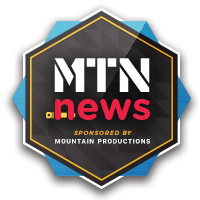 Mountain Productions was proud to be a part of the “Boots life” for the fourth year in a row. 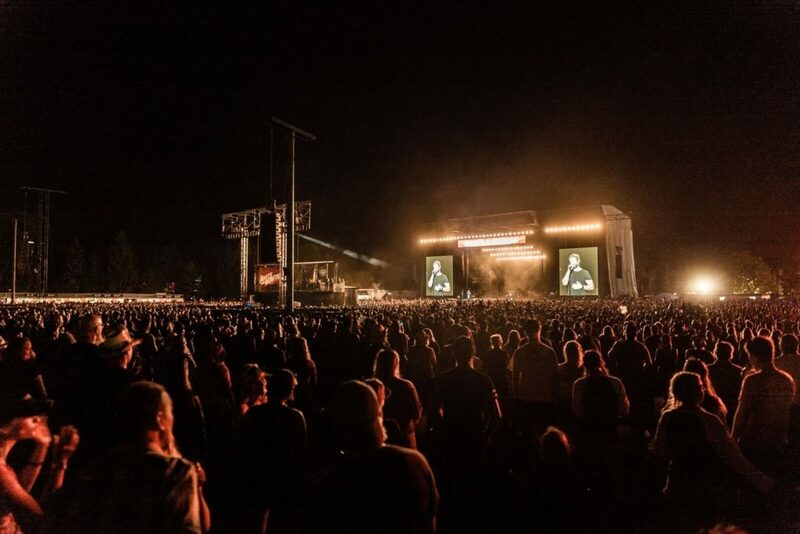 If you saw headliners like Florida Georgia Line, Alan Jackson, and Thomas Rhett on the big stage, and the other great talent on the Front Porch stage, you got a full-frontal view of some Mountain magic. 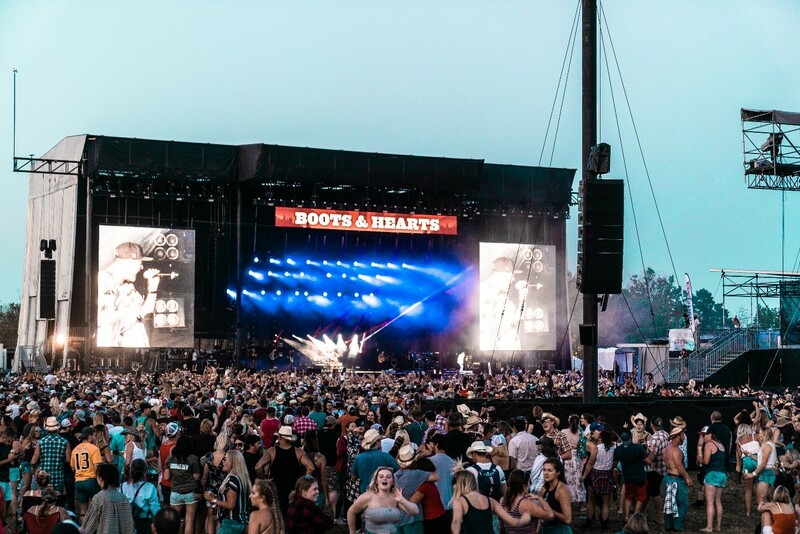 Heart is an important component of the Boots and Hearts community—and at the center of its radiating pulse is the main stage. Worthy of such important names in country music, Mountain Production’s 60’ MTN Truss HD System makes a big impression, especially when paired with state-of-the-art sound and visual effects controlled from our newest and most advanced front of house mix position style. Festival VIPs were able to enjoy the festival lineup up close and personal with two VIP sections: a large VIP platform with a covered level in the event of precipitation and a Large FOH VIP platform. 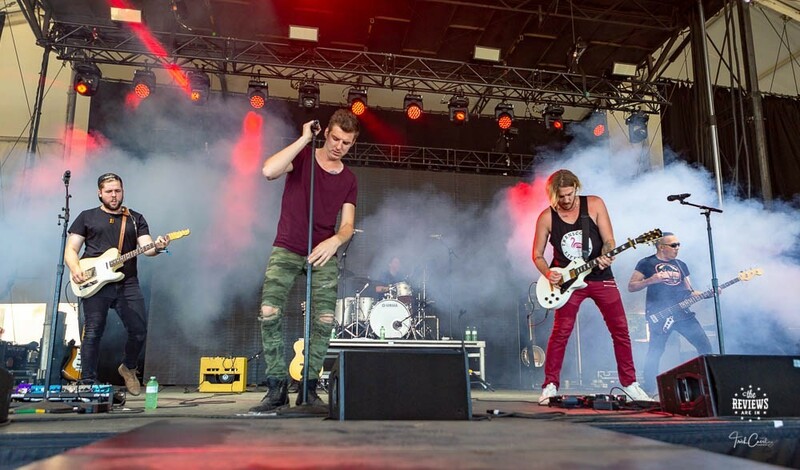 The Boots and Hearts festival features two stages: the main stage and the Front Porch Stage. Artists performing at the latter did so on Mountain’s Stageline SL-320, the largest stage in the SL family capable of holding intricate lighting rigs and really setting the scene for a long weekend full of dancing and singing to your favorite songs. All music lovers who attend Boots and Hearts deserve to hear and experience the raw energy of this once-in-a-lifetime event. Each stage was outfitted with ADA-compliant platforms. The main stage was also outfitted with a video package and full surround sound so all headliners could be seen and heard—no matter how close you were to the stage. Three delay towers provided support for sound clusters to extend the music’s reach. All around the country, Mountain Productions crews are ready to build the structures at the heart of the biggest festivals to the most intimate events. Visit MountainProductions.com to learn more about what we can custom-build for your event.